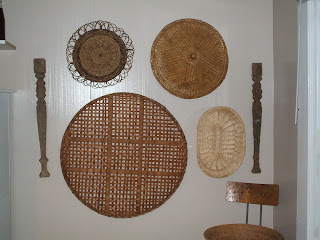 On this large wall, I had a dinky little picture hanging there but it just looked lost. I needed something to fill up the space, but large canvasses, prints, and frames are really expensive. 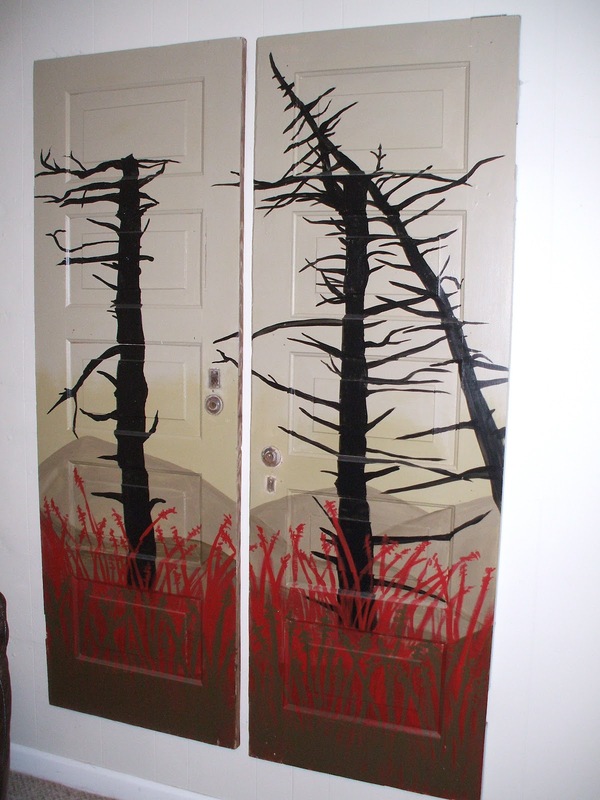 I had these two old doors (one I found in an old out-building in the woods behind our house, the other my dad bought at a yard sale and just had it stored behind the garage) and decided to paint a scene on them and use them like canvasses. I used leftover paint that I had lying around to paint the picture and kept it simple, so it only took a few hours. You could also use decals or stencils if you don't like to paint free-hand. 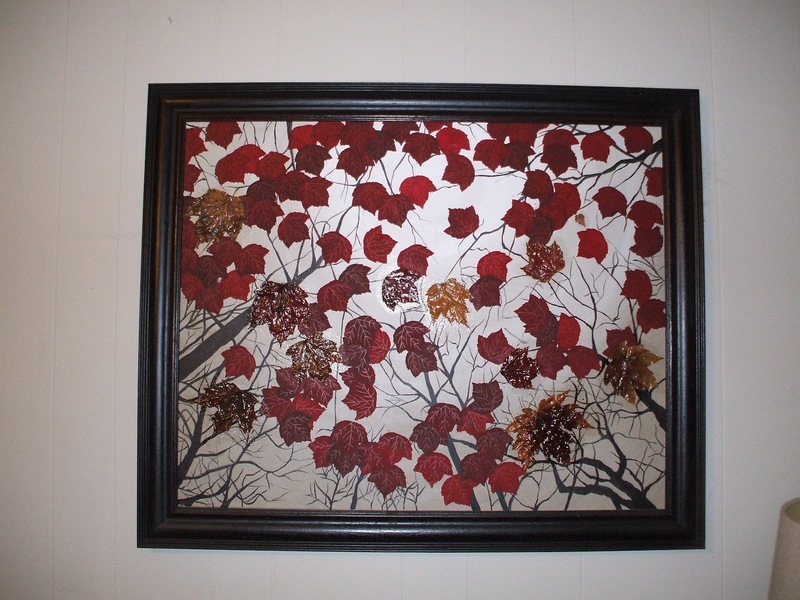 For this mixed media piece, I used pressed leaves that we had picked up on a trip to the mountains one fall. 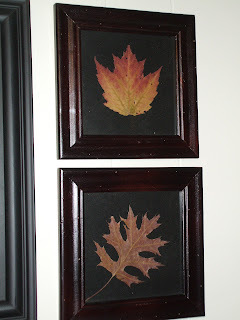 I took a maple leaf and traced it onto a piece of paper and then cut it out to make a DIY stencil, and painted several in different shades of red to make all the maple leaves. 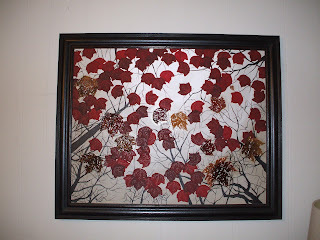 Then, I took some of the real pressed leaves and decoupaged them onto the painting. 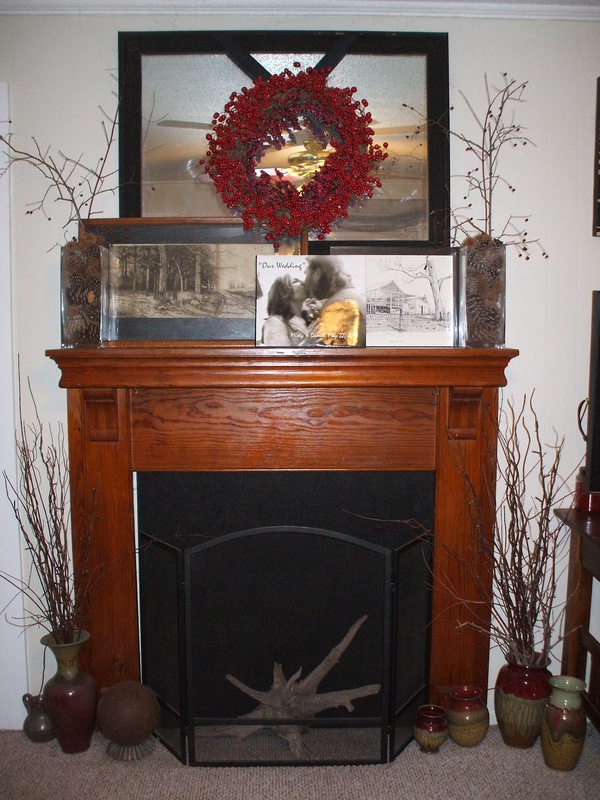 This was a pretty quick-fix for a big, blank wall in my living room. These were super easy. 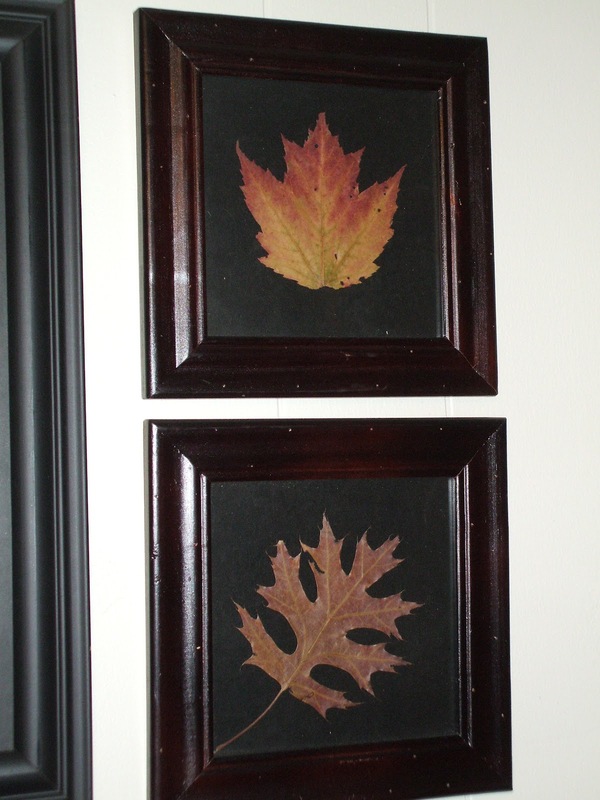 I picked up some pretty fall leaves and pressed them under a heavy book, put them in their frames (which I bought at the $1 Spot at Target) and voila! Instant artwork! Our kitchen had a weird layout and one large, empty wall, which I can't stand, so I just had to fill it up! I found all these baskets at a flea market in our hometown for $1.00 apiece and the table legs I found in the woods behind our house. This is our old church sign. My Grandpa saved it when it was replaced with a new one, and I found it in his wood shop. 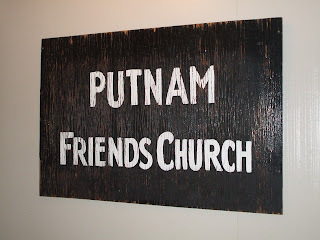 I love the patina of old signs and this was even better because it had special meaning for us... and it was free! Misty, these are awesome! I've used doors for art, but don't consider myself a very good painter. I'll have to try the decal idea.